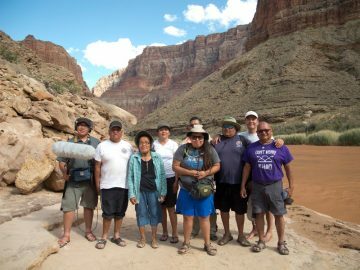 Some river guides can speak on natives’ fishing techniques, bighorn sheep mating patterns, gold panning old timers, and socio-political Bureau of Reclamation impact. And there are some guides who LOVE to talk geomorphology. 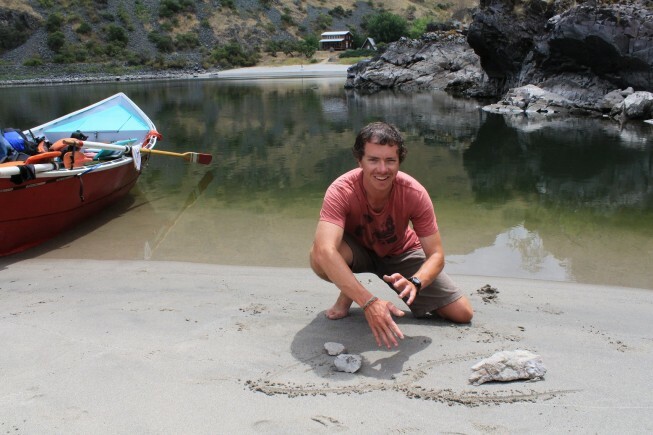 Many guides become geologists in some capacity, from professional to hobbyist. 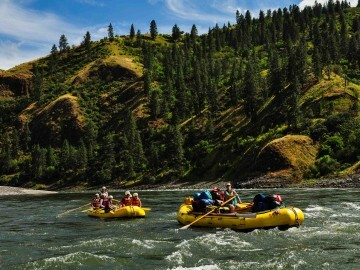 Meet Dan Thurber, a second generation Idaho rafting guide, and a geologist by education. You often say that geology is more than the study of rocks. Why does geology matter? Geology is the study of the nonliving natural world and all the physical processes that shape it. Those who choose to spend their summers living in the wilderness are particularly subjected to the physical laws of nature. 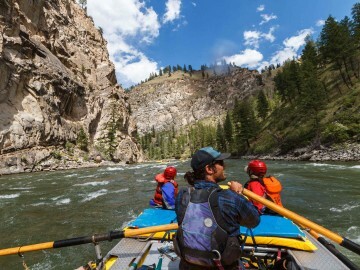 For a multi-day river guide, all of the decisions that we make and actions we take on a daily basis are influenced by the environment in which we work. A natural result of this intimate relationship with nature is a deep curiosity in what makes that world turn. The study of geology allows guides to ask and answer endless questions of how. How does the water flow rise to such surging torrents in the spring? How do rivers continue to flow strong, months after all the snow has melted? How do entire mountainsides cave in and change a stream system in the few years after a major wildfire? How does a river calm enough for us to float down in wooden boats manage to carve a gorge over a mile deep and hundreds of miles long? 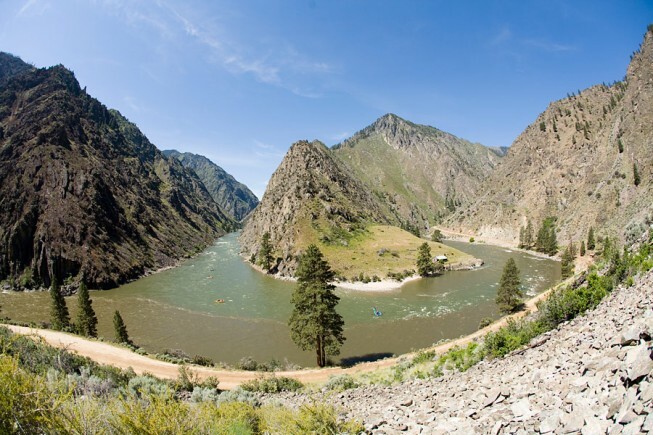 What is your favorite geologic river stretch? The Middle Fork of the Salmon unfairly overshadows the other whitewater gems in Idaho, but it really does stand out as my favorite river geologically. I suppose it’s because the canyon speaks of so many different geologic time scales. There are ancient billion-year-old metamorphic rocks that tell the story of the formation of a “supercontinent” twice as old as Pangea. 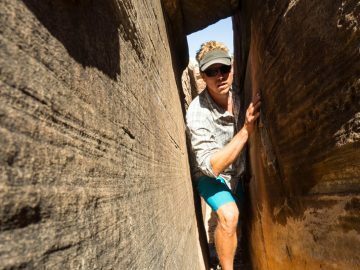 The granite walls of Impassible Canyon are the prehistoric cores of powerful volcanoes from the age of dinosaurs. Then the clean, flat-forested terraces we camp on throughout the central canyon are relics of ice ages and glacial cycles within the last 100 thousand years. But the most exciting geology of the Middle Fork is that the river canyon is still an incredibly dynamic system. Every few years, rainstorms cause flash floods and blowouts that create rapids while flooding others out. Just in my 12-year career, I’ve seen about 15 variations of the same river. 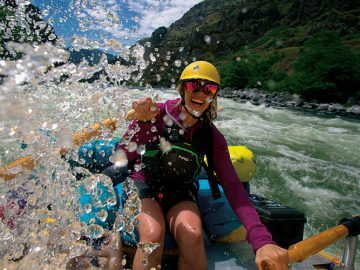 When boatmen start telling a river story about Haystack or Lake Creek or Tappan III, it always comes with a date so other guides know which version of the rapid we’re talking about. What would you like guests to take away from a geology talk? Once the guests on a trip find out that I know a thing or two about the local geology, someone on a trip is bound to pick up a pretty rock and ask me what it is. More often than not, my answer is simply that it is just that: a pretty rock. The lines and shapes on a river cobble are just the result of how a piece of bedrock broke off and was rounded off by centuries in the river. If I say that it’s a feldspathic litharenite with a high percentage of potassium in the matrix and a thin vein of hydrothermal silica, I just took all the romance out of a stone that was previously quite interesting to admire. If an audience can take one thing away from a riverside geology talk over hot coffee or from a scenic overlook, it’s that geology is about much more than just the story of how rocks formed. For me, geology is about landscapes and very few landscapes match the wonder and mystery of rugged canyons and the rivers within them. So many stories are told by the cliffs, waterfalls, peaks, beaches, pools, and bends of a river.